This year’s survey of the best cities for jobs contains one particularly promising piece of news: the revival of the country’s long distressed industrial sector and those regions most dependent on it. Manufacturing has grown consistently over the past 21 months, and now, for the first time in years, according to data mined by Pepperdine University’s Michael Shires, manufacturing regions are beginning to move up on our list of best cities for jobs. The fastest-growing industrial areas include four long-suffering Rust Belt cities Anderson, Ind. (No. 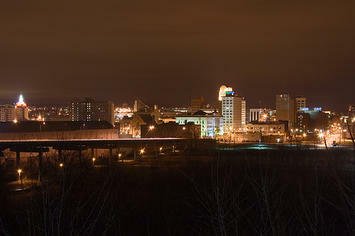 4), Youngstown, Ohio (No. 5), Lansing, Mich. (No. 9) and Elkhart-Goshen, Ind. (No. 10). The growth in these and other industrial areas influenced, often dramatically, their overall job rankings. Elkhart, for example, rose 137 places, on our best cities for jobs list; and Lansing moved up 155. Other industrial areas showing huge gains include Niles-Benton Harbor, Mich., up 242 places, Holland-Grand Haven, Mich., (up 172), Grand Rapids, Mich., (up 167) Kokomo Ind., (up 177) ; and Sandusky, Ohio, (up 128). Industrial growth also affected some of the largest metros, whose economies in other areas, such as business services, often depend on customers from the industrial sector. Economist Hank Robison, co-founder of the forecasting firm EMSI, points out that manufacturing jobs — along with those in the information sector — are unique in creating high levels of value and jobs across other sectors in the economy. They constitute a foundation upon which other sectors, like retail and government, depend on. Take the case of Milwaukee. The Wisconsin city rode a nearly 3% boost in industrial employment to increase its ranking among the best large metros for jobs: It rose from a near-bottom No. 49 (out of 65) to a healthy No. 23. As manufacturing employment surged, others sectors, notably business services, warehousing and hospitality, showed solid increases after years of slow or even negative growth. Milwaukee’s growth reflects some of the greater trends affecting the industrial sector, whose overall income is up 21% since mid-2009. The Fed’s monetary policy, combined with deficit-related concerns, has certainly helped by depressing the value of the dollar, keeping American prices more competitive with foreign producers. Low prices have helped U.S. industrial exporters gain sales, much as it has boosted agricultural commodity producers to sell their goods to growing countries like China, India and Brazil. Exports now account for 12.8% of all U.S. output, the largest percentage since the Commerce Department starting tracking in 1929. These new markets are particularly strategic to regions like Milwaukee and other parts of the Great Lakes. Despite the industry’s massive shrinkage of the past decade, these areas retain significant specialized skills in fields like machine tools, automotive parts and temperature controls, which are all in demand in the developing world as well as at locally based firms, many of which are enjoying high profits. Allen-Edmunds, a high-end shoe maker based in the region, has seen export business surge. Similarly Peoria, Ill., has benefited from a boom in overseas orders for heavy equipment from Caterpillar, its dominant industrial company. Caterpillar sells the kind of heavy moving and mining machinery now in great demand, particularly in developing countries. One big driver of industrial growth has come from the source of so much pain in the past: the auto industry. Although production remains 25% below its 2007 peak, the industry, which accounts for roughly one-fifth of the nation’s industrial output, is on the rebound. Ford Motor is achieving its best profits in over a decade, and both Chrysler and General Motors are officially in the black. Long-depressed industry center Warren-Troy-Farmington Hills, Mich., topped our list of manufacturing job-creators, with an impressive 8.2% increase. Second place went to the Detroit-Livonia-Dearborn area, which experienced 3.5% growth. Of course this recent expansion hardly makes up for decades of decline — auto industry employment, for example, is still down over 34% from its 2005 peak. But industrial expansion has clearly improved job prospects across the board; over the past year, for example, Warren experienced healthy growth in its information, business services and wholesale trade sectors. Of course, not all the big gainers in the industrial sphere are located in Great Lakes. The movement of manufacturing to other parts of the country, particularly to Texas and the Southeast means a better industrial climate helps those regions as well. The list of fastest-growing industrial areas among our big metros includes San Antonio, Texas (No. 3); Atlanta (No. 7); Oklahoma City (No. 8) and Austin-Roundrock, Texas (No. 10) — all of which did very well in our overall jobs survey. Many of these areas are business-friendly, have low housing costs, reasonable taxation and business-friendly regulatory environments that induce industrial expansions. Another contributing factor to industrial growth in places like Austin is high-tech manufacturing. Covering everything from servers to specialized production equipments, the expansion of this sector accounts for a healthy 1.7% upturn in San Jose, No. 6 among our large metro regions, a welcome turnaround for an area that shed some 17% of its industrial jobs over the past decade. But some of the best progress took place in smaller communities spread across the country. Take Yakima, Wash., which came out first on our manufacturing job growth list with a heady 19% growth in industrial jobs. Metal fabrication plants companies such as Canam Steel have led the way, with some of the new demand coming from Canadian sources. Other strong performers included Midland, Texas, which ranked sixth in our industrial rankings — fifth among the smaller cities. Here an expanding oil and gas sector has sparked a strong revival not only in manufacturing but also in business services and finance. If manufacturing growth has become a new shaper of overall job growth, some regions may need to move beyond the post-industrial mindset that dominates so much of regional e development orthodoxy. Take the coastal areas in California: Los Angeles-Long Beach, which has the nation’s largest industrial base and high unemployment, continues to lose manufacturing jobs – over 28% gone over the past decade — in part due to strict regulatory controls and a basic inattention to this sector by government officials. In contrast, some hard-hit economic regions like Modesto, in California’s Central Valley, have promoted industrial growth. Last year, a nearly 14% increase in manufacturing jobs — much of it food related — helped the area gain some 92 places on our survey . They have not exactly won a gold medal, but certainly the improvement amount to more than chopped liver. To be sure, cities can grow without robust manufacturing. Take financial centers like New York, university towns or Washington, D.C., where paper-pushing remains the core competency. But for many areas, particularly those beyond the urban “glamour zone,” getting down and dirty at the factory represents a solid economic strategy. In fact, it may be one of the best way to nurture your region back to health.